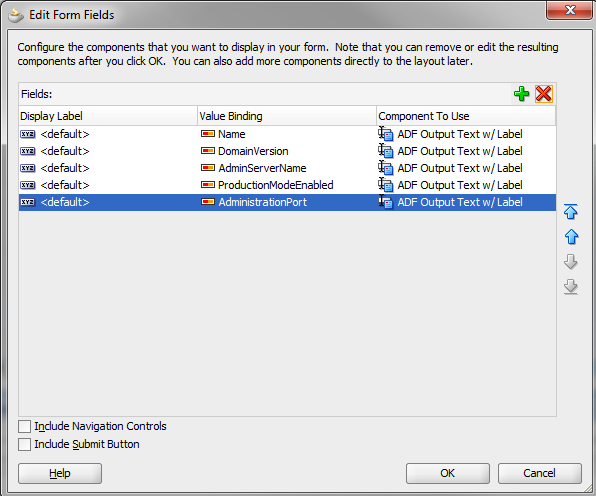 Back in 2009, I already a made a blogpost about some handy code which you can use in your ADF Web Application. You can say this blogspot is part 2 and here I will show you the code, I use most in my own managed Beans. 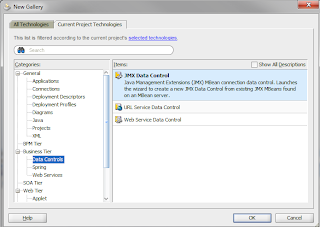 The ExternalContext class, with this you can retrieve all the java init & context (web.xml) parameters, the Request & Session parameters and your web application url. ADFContext class, with this you can get all the memory scopes variables even the application scope variables, ELContext and the SecurityContext. SecurityContext class, retrieve the current user and its roles. 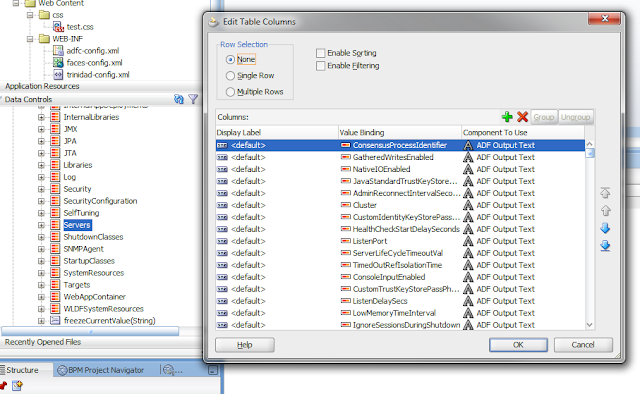 BindingContext, BindingContainer and DCBindingContainer class. These classes are well known when you want to retrieve the ADF pagedef objects. Sometimes you need to access the PageFlowScope of a Task Flow Region( child Bounded Task Flow ) and get a handle to a pageFlowScope managed Bean. 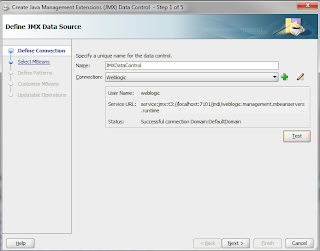 Normally you don't need to do this and Oracle don't want you, to do this. To make this work you need three internal classes so there is no guarantee that it works in 11g R1 PS4 or higher, but it work in PS2 & PS3. Basically this is what you need to do. 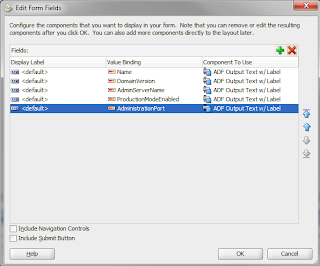 I don't think this feature will be used in enduser applications, but can be very useful in support applications so the administrator can control the FMW servers. 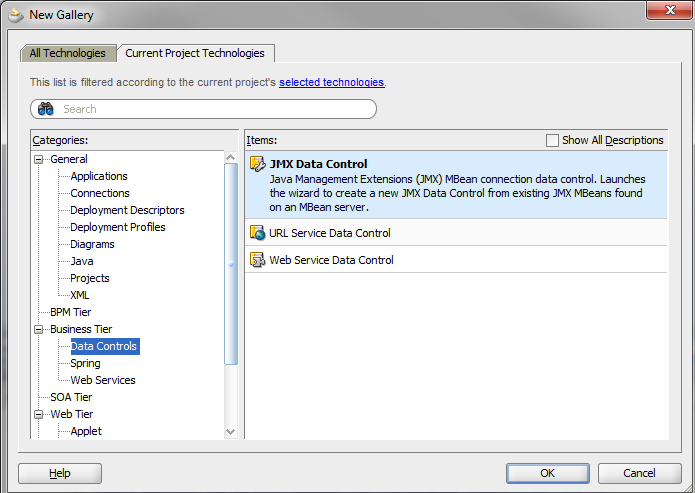 In this blogpost I will show you how you can use the JMX Data Control to give you a WebLogic Domain overview with its servers and application deployments. 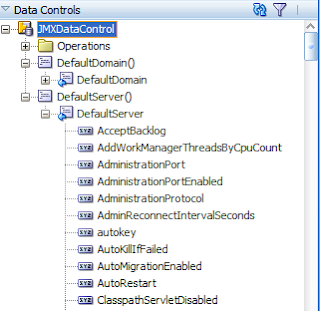 First you need to create a JMX connection. 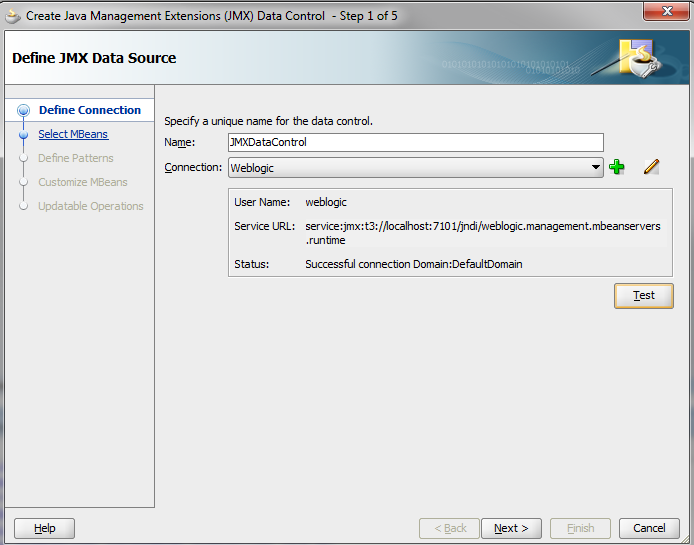 In the Data Controls window you can see my Domain MBean with its attributes and accessors. First I drag my Domain MBean to the page and select the attributes I want to show. 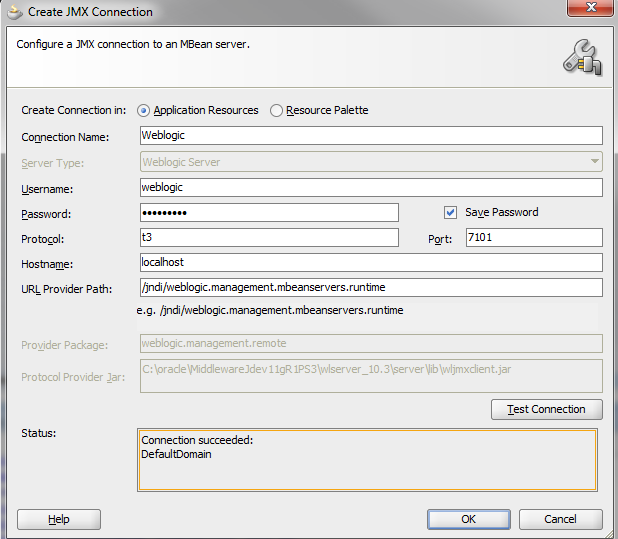 I also want to show you the WebLogic servers as child of the Domain ( in table layout ), the same for application deployments. So drag the Servers accessor on the page and select the attributes you want to show. 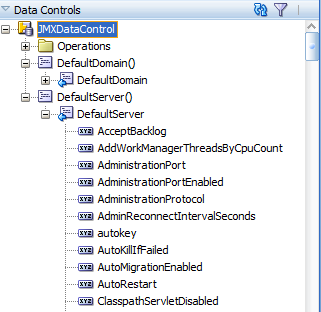 Be aware, the JMX Data Control does not know every Java Object, so if you want to use this on the SOA Suite MBeans it will give you some errors. 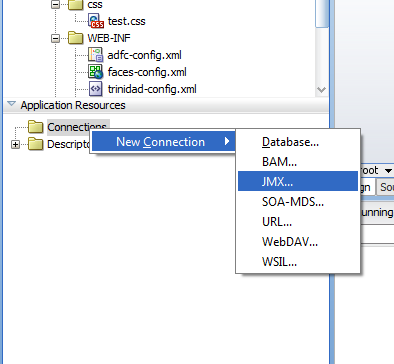 It can't find the XML presentation of these SOA Java Object.